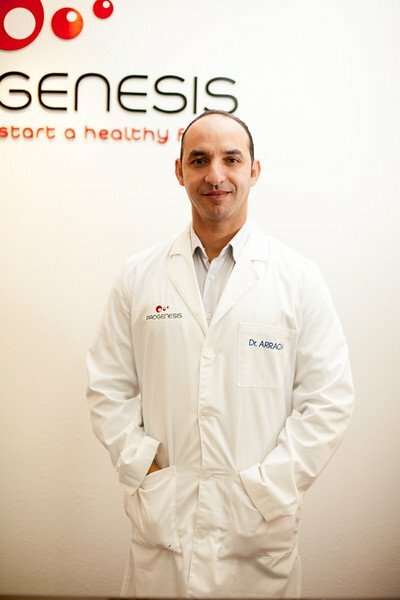 Dr. Nabil Arrach has 20 years of research experience in molecular genetics, both in preclinical and clinical settings. He has worked at several prestigious research centers, including the University of California, Berkeley, Sanford-Burnham Medical Research Institute and the University of California, Irvine, and has numerous high impact publications and a successful record in grant funding. Dr. Arrach is the co-founder of Progenesis located in La Jolla, CA, the world leader in next generation sequencing technology for embryo testing. Dr. Arrach was the first scientist to optimize and validate next generation sequencing for PGS and PGD. He continues to work on new emerging fields in IVF including spent media testing. Dr. Arrach holds a Ph.D. in Molecular and Cellular Biology. Under Dr. Arrach’s guidance, Progenesis stands at the forefront of NGS research technology; it is the only company to offer PGD using next generation sequencing. 1. Pushing the limits of detection: investigation of cell-free DNA for aneuploidy screening in embryos. Ho JR, Arrach N, Rhodes-Long K, Ahmady A, Ingles S, Chung K, Bendikson KA, Paulson RJ, McGinnis LK. Fertil Steril. 2018 Aug;110(3):467-475.e2. doi: 10.1016/j.fertnstert.2018.03.036. Epub 2018 Jun 28. 3. Reducing the burden of genetic diseases via IVF and preimplantation genetic diagnosis. Nabil Arrach, Ph.D. Key note speaker, The 4th World Congress on Human Genetics & Genetic Diseases.